Welcome to Tuesday. We got some new games and some news. Big releases this week are Assassin’s Creed Chronicles: China, and Goat Simulator. And the big news includes: Write/Director Leaves Gearbox, New Microsoft IP, Steam Features, Halo 5:Guardians, Alan Wake Sequel?, Gears of War Cinematic Director Leaves Epic for Black Tusk, Destiny, and this week’s Xbox Deals With Gold. Assassin’s Creed Chronicles: China (PS4, PS3, XBox One, PC) – Chronicles is a series of 2.5D Assassin’s Creed games developed by Climax Studios, and published by Ubisoft. The games will feature a new protagonist. 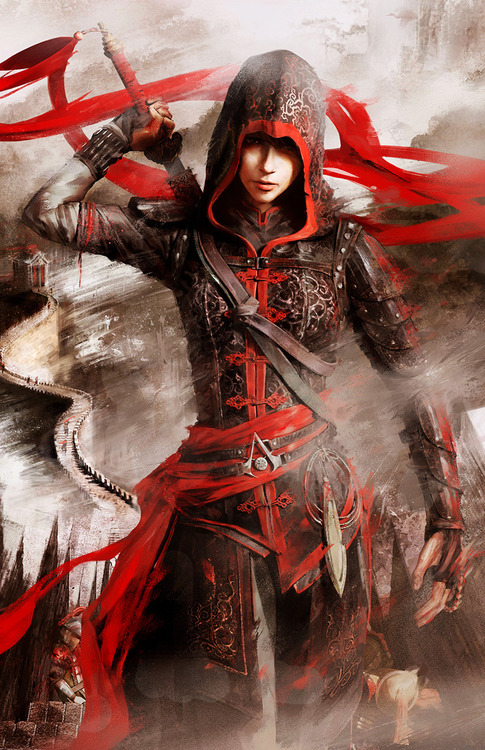 China’s protagonist is Jun, who was trained by Ezio Auditore. The follow up games later this year will be Chronicles: India, and Chronicles: Russia. Release Trailer below shows the story and gameplay. I’ll be picking this up shortly and playing through it. The art style and gameplay looks intriguing, and I’m all about the Assassin’s Creed titles. Goat Simulator (XBox One, XBox 360) – Finally released on all the Xboxs, Goat Simulator is here. I played some over the weekend, and I’ll be talking more about it tomorrow, with a review on Thursday. Matthew Armstrong has left Gearbox Software. Credited as a writer and game design director of Borderlands. Xbox head Phil Spencer announced that new exclusive IP would be announced this June at E3 2015. He confirmed that it would not be another military space marine game or racing title. I’m excited about E3. And I’ll be live blogging the day of the press conferences, June 15. So look out for that. Valve announced that, in a move to protect its customers against spamming and phishing, it would be locking some of its features to all but paying customers. Users who have not spent the $5 will not have access to features such as sending friend invites, voting on Greenlight, or submitting content on the Steam workshop. Regardless of the fact that its a trailer announcing pre-order bonuses, it is a pretty cool gameplay trailer showing off new weapons and abilities. The trailer focuses on Spartan Locke taking out Covenant in pursuit of Master Chief. Remedy has announced that even though the Alan Wake 2 sequel project was scrapped, a prototype was created after the first was released. The company opted to work on their next game Quantum Break instead. But the possibilities are still there. Remedy is 100 percent focused on the upcoming Xbox One exclusive Quantum Break, which was just recently delayed until 2016. Greg M. Mitchell, who was previously responsible for the cinematics in the Gears of War franchise, has left Epic Games to join Black Tusk Studios, to most likely work on, yup, cinematics, on the next Gears of War game. Way to branch out. Destiny has launched a newer trailer showing off some new information about the upcoming DLC House of Wolves: New social space, new characters, new gear upgrades. There’ll be a Twitch reveal tomorrow. Call of Duty: Ghosts and Ghosts Hardened Edition are 60% and 40% off on the Xbox One, respectfully, and Never Alone is 40% off. Ghost review is upcoming, and check out the review for Never Alone here. Ghosts, Black Ops II, and COD 3 are on sale as well, on the Xbox 360. That’s all for today. 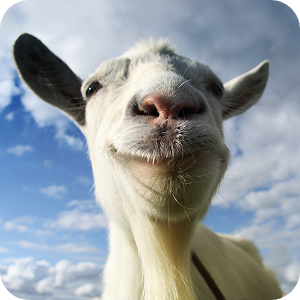 Check in tomorrow for thoughts and impressions of Goat Simulator, and Thursday for the review. It’s raining, so don’t go outside. This entry was posted in News and tagged Alan Wake, Assassins Creed, Black Tusk, Chronicles, Deals With Gold, Destiny, Epic, Games, Gaming, Gearbox, Gears of War, Goat Simulator, Halo 5 Guardians, House of Wolves, Steam, Video Games. Bookmark the permalink.